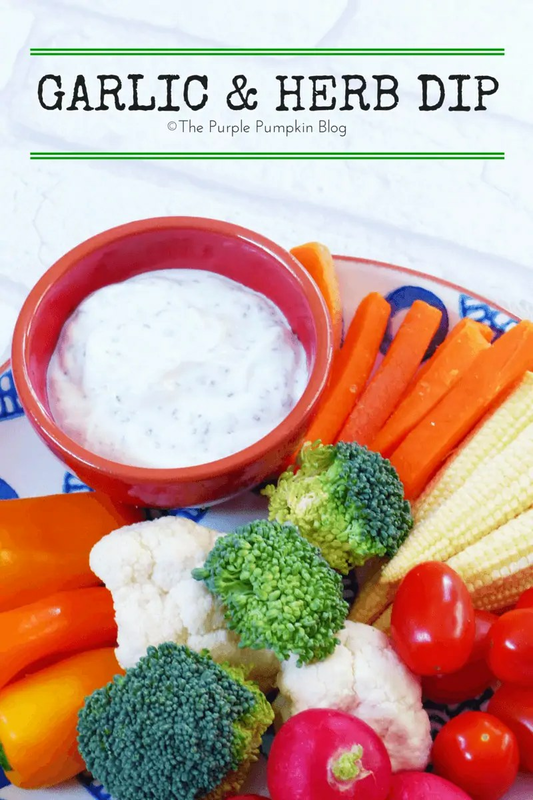 This garlic and herb dip is probably the quickest and easiest dip I know how to make. It’s also low in fat owing to the 0% Greek yogurt that I use, and makes a great healthy lunch or snack with a plate of fresh crudities. Mix all the ingredients together, adding more of the herbs if you wish. You could substitute the dried herbs for fresh if you have them to hand.